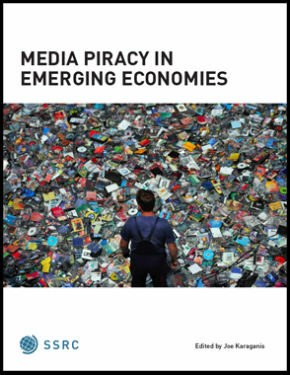 A few years ago I changed the name of this site from Media Piracy in Emerging Economies–named after the report that was its primary content–to The Piracy Years. Part of my intent was to create a better container for the reports and projects that followed. Part of it was to signal my sense that much of this work belonged to an era that, in important respects, was closing. 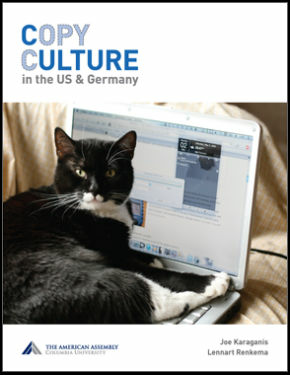 From the early 2000s to the mid 2010s, piracy dominated conversations about the future of culture and the regulation of the Internet. The big culture industries–recorded music, TV and film, and to a lesser extent publishing and software–treated the open Internet as a threat to their businesses and, myopically and often cynically, to culture in general. By 2019, nearly all of those industries had successful moved toward online business models. The quantity of production of new work across all the major sectors has boomed. Revenues have recovered and grown. And cheap digital services have displaced a lot of the demand once met only through unauthorized downloading. As the proposed EU copyright reforms demonstrate, piracy still plays an outsized role in policy debates. But it plays a marginal and declining role in shaping most areas of the cultural economy. And as it declines we can see more easily the underlying issues in the cultural economy that that the piracy debate effectively obscured. The dearth of data on how the big intermediaries—record labels, studios, publishers, and now internet platforms like YouTube, Amazon, and Spotify—structure cultural markets is a long-standing problem. These companies tell creators how much they’re getting paid, but they rarely disclose who else is getting a cut, how their peers are paid, and what factors contribute to differences in promotion or placement. They reveal little about the flow of content, attention, and money that make up these ecosystems. The reason for this secrecy isn’t a mystery. It’s a big advantage to know more about your market than your competitors, users, customers, and—ultimately—regulators. Controlling this information raises barriers to competition and makes it easy for anyone sitting on the information-poor side of a negotiation to get taken advantage of without quite being able to say how. What would an open-data agenda for the creative economy look like? It could begin with public ownership registries and open metadata standards, which would create a shared framework for identifying and tracing the ownership of copyrighted work. It could include measures to strengthen competition for users among platform services, like the “data portability” requirements built into the European GDPR or the more ambitious idea of reorganizing simple platform functions (like social media or video posting) around open protocols analogous to email. It could include reporting on the display results for content on online platforms, especially as Netflix, Amazon, Google, Apple, and others become vertically integrated businesses that compete with third-party content. The EU is talking about this at the level of principles, if not yet applications. Open-data requirements would also need to work in areas where precedents are thin, including data on flows of attention, activity, and money, as well as the private agreements that shape the treatment of content. They would look at cultural ecosystems rather than just the internet, and so encompass both offline and online intermediaries. What will future historians will see as the major Russian contribution to early 21st-century Internet culture? It might not be troll farms and other strategies for poisoning public conversation — but rather, the democratization of access to scientific and scholarly knowledge. Over the last decade, Russian academics and activists have built free, remarkably comprehensive online archives of scholarly works. What Napster was to music, the Russian shadow libraries are to knowledge. Much of the current attention to these libraries focuses on Sci-Hub, a huge online library created by Kazakhstan-based graduate student Aleksandra Elbakyan. Started in 2011, Sci-Hub has made freely available an archive of over 60 million articles, drawn primarily from paywalled databases of major scientific publishers. Its audience is massive and global. In 2017, the service provided nearly 200 million downloads. 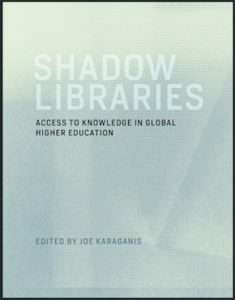 Because most scholars in high-income countries already have paid access to the major research databases through their university libraries, its main beneficiaries are students and faculty from middle- and low-income countries, who frequently do not. We end with a familiar scene. On an October morning in 2013, students arrived at the University of the Republic in Montevideo to find a major police operation underway. In collaboration with Interpol, the organized crime unit had raided fifteen copy shops in the area surrounding the law school and detained thirty-two people (El País 2013a). The timing was provocative. The law school-—the largest unit at the university with more than fourteen thousand enrolled students (Udelar 2013)—was in the middle of exams. News of the raid spread quickly. The arrests and confiscated photocopy machines were televised and the topic trended on social networks, where it met an avalanche of criticism…. In Brazil, debates about access to educational materials in higher education have been dominated for years by disputes about the legal and moral implications surrounding photocopying. Until 1998, Brazilian copyright law permitted anyone to make full, single copies of protected works for personal, not-for-profit use. This limitation on copyright protection anchored a complex web of curricular and student practices that developed in the course of the 1970s and 1980s as photocopiers came into widespread use. 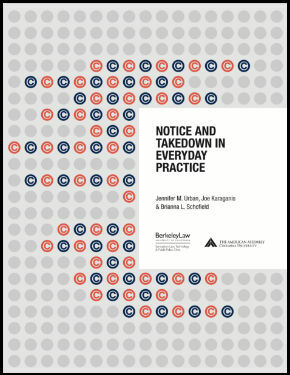 When that permission was withdrawn in the copyright reform act of 1998 (Law 9610/98), publishers tried to recapture that part of the market—first by trying to persuade universities to negotiate licenses and later opting for police raids to break the copy culture on university campuses. For the most part, these efforts failed, leaving university copy culture largely unaffected and creating a stalemate on copyright reform that continues to this day. In the meantime, parts of the photocopying ecosystem have shifted online—though publisher enforcement efforts have undercut the emergence of any large-scale shadow libraries to rival the Russian examples from chapter 1. From Evelin Heidel’s chapter on Argentine shadow libraries . Publishers continued to bring cases against students and faculty under Article 72 and they continued to lose them. In 2007, philosophy professor Horacio Potel was sued by the Argentinean Chamber of Books (CAL) for making texts by Heidegger, Derrida, and Nietzche available on websites he had built to support his teaching—a practice he had begun in 1999. The suit was initiated at the behest of Les Éditions de Minuit, a publisher of Derrida’s work, and was promoted by the French Embassy, which invoked “the golden rule” of intellectual property (Hax 2009). (The Nietzsche component was dropped when someone pointed out that Nietzsche’s work had entered the public domain decades earlier). Despite the protection that judges afforded students and faculty, educational limitations and exceptions did not coalesce into a clear or consistently reproduced doctrine. None of the acquittals addressed the issue. On several occasions, judges found technicalities that allowed them to avoid sentencing students under criminal law, such as the argument that “to photocopy a photocopy is not a crime.” Although such decisions favored the students and established increasingly elaborate precedents against the use of Article 72 in such contexts, they skirted the underlying question of the role of copyright law and of university policies in enabling affordable access to educational materials. Instead, what began as more or less informal practices and forms of complicity between students and universities became more formalized and widespread. Student responsibility for organizing access to materials for their peers became a norm and ultimately a duty assumed by student associations. In some cases, the universities provide the space or other forms of subsidies to sustain this practice. The result is a de facto rather than de jure set of educational exceptions, more or less recognized and tolerated by the major institutional players. In the immediate post-Soviet turmoil, access to print culture did not get any easier. Censorship officially ended, but so too did much of the state funding for the publishing sector. Mass unemployment, falling wages, and the resulting loss of discretionary income further undercut the shift toward market-based publishing models. The funding of libraries also dwindled, limiting new acquisitions (Elst 2005, 299–300). Economic constraints, in short, took the place of political ones. But in the absence of political repression, self-organizing efforts to address these constraints acquired greater scope of action. Slowly, the informal sphere began to deliver alternative modes of access to otherwise hard-to-get literary and scientific works.